False eyelashes are a quick and easy way to brighten up those blues, glorify those greens or make those bodacious browns pop out and say “Well hello there big world! Show me what ya got! !” And the best part about it is, that the mink eyelashes of today are not the same ones your mother painstakingly put on with a pair of tweezers and made her look like she had on a few too many coats of her clumpiest mascara! Oh no ladies… we have choices. These false eyelashes are always ready for a night on the town, but they also will not take up your whole evening applying them. Lashes are now easier then ever to apply and remove! It may take a few times to become a pro at application, but remember, you need to get on that pink bike with the awesome tassels sometime or another if you are going to strut your stuff all the way down to the end of the block! 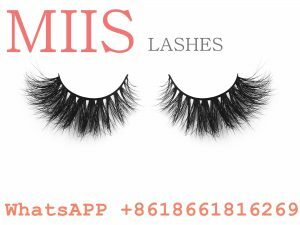 1:Before applying lash adhesive, make sure the length of the lash band will fit your eyes so that your mink eyelashes will be comfortable. You don’t want your lashes to start too close to the tear duct, or go beyond your natural lash line. You may have to snip a small section off if you eyes are smaller. 2:Apply eyeshadow and mascara. This way your lashes will be the same color as the false pair and blend in better. 3:Apply a thin line of DUO adhesive to the lash band. DUO comes in white, which dries clear, and also dark tone, which dries black. I highly recommend the clear for beginners! 4:Allow the adhesive to dry for about 30 seconds. This allows it to become slightly tacky and easier to apply. 5:Get close to a mirror and apply the mink eyelashes onto the eyelid as close to the lash line as possible. Keep eyes relaxed and adhesive will be set in no time! 6:Finish off with liquid or gel liner. Simple note on that, lashes can and will change they way your eyes look. They make your eyes look more open and bigger. End of story. My rule: If you cannot decide what you are going to wear- put on false eyelashes, everyone will be looking at your beautiful eyes to even care if your socks match.